Many people are looking for night vision and not for extremely professional purposes, right? You might be one of them too. And the truth is that the best cheap night vision doesn’t have to be necessarily lacking in quality. 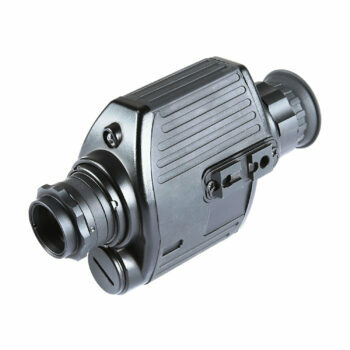 We’ve found many products on today’s market ranging from just a few bucks to a couple of hundred that can be included in the affordable price range for night vision. And we’re here to share with you what we’ve found out. The factors that influence your purchase decision are varied enough, but we’ll discuss a few of them below. There are different sorts of night vision. The most proficient are the IR type because that enables you to see in complete darkness. The pulsing IR is even better because this emitter can save battery life, which is always important. The LLL (low light level) optics are just as good for some purposes, like bird watching or hunting. But for these to work, you need a faint light, or at least a light source available. Even the moon can be considered a good enough source of light for most LLL. The digital night vision devices are the best on the market, seeing as they render the brightest images. They can even compete with some second or third generation optics with IR, which explains why they might be more expensive. You’ll know how far away you can see thanks to the specified magnification, as well as how powerful your chosen optics is. So a good infrared emitter can help you see as far as 200 or 300 yards. However, is the magnification is just 1x, you won’t be able to see any details, but just the objects as they appear in reality. If you need a pair of binoculars or a monocular for bird watching, you might need a bigger magnification, so you can spot accurate details even further away. A wide field of view is related to a smaller magnification, and this can be useful for general scouting of a certain area, as well as brush hunting. Conversely, a narrow field of view means you’ll have a bigger magnification device, but that’s just the theory. In reality, some cheaper items will offer you neither an excellent magnification nor a wide field of view. But if you’re interested in night vision, these measurements are way less than those for day vision. A certain image is bright because of how the lenses are constructed. If you’re getting a prism design, with full multicoating and a large diameter, your rendered image will be as crisp as possible. Conversely, a Galilean design, with a simple coating and small diameter equals less light transmission and more blur. But you should also take into account the other materials used and the general construction of your optics. A monocular/ binoculars that allow the formation of water fog won’t render crisp images in certain weather, either. Some items are more portable than others. For instance, a monocular weighs less than a pair of binoculars generally speaking. A fully multicoated item will also add to the overall weight, though it’s more qualitative. Just make sure that a heavier item has a secure grip. Some even have a head mounting capability or can be mounted on a tripod. Some others come with sturdy handles, which is another good option, especially for monoculars. While you’re looking for affordable night vision, just remember that means different things to different people. 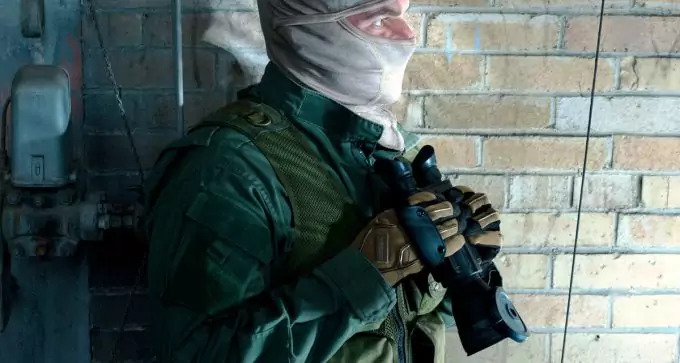 That’s why we’ve reviewed products with a wide range of prices, that can be understood as affordable, taking into account how much money really expensive night vision can add up to. When talking about what the market has to offer, remember that what might be best for another person, might not be for you. 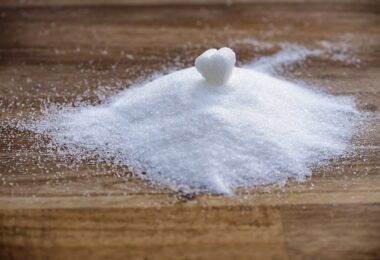 That’s why we’ve summarized the main features of each product below, their pros and cons, as well as their intended use. The Night Owl Optics Night Vision Monocular has a 3x magnification, rendering it precise for brush hunting or close distance viewing. That’s because you won’t be able to see so far away, but the field of view is pretty ok, of 67 feet at 200 feet. The 42 mm lens account for enough light transmission to make this monocular work in low light. We love the robust, sturdy body of this monocular. Though it falls in the category of affordable night vision, we appreciate that its optics are all glass. The intensifier tube is generation 1, but it’s still pretty qualitative, and we like both the heavy duty nylon belt carry case, as well as the sturdy handle. And we like that the IR illuminator is columnated, so you can use it when it’s pitch black. But another use of such an illuminator is improving target recognition, regardless of the environment you’re in. The downside is that the IR produces a red glow that can be seen when you’re looking at the monocular. Related: This monocular needs one 3 V CR-123 lithium ion battery to work, which is unfortunately not included in the package. So you need a battery to activate it, plus some spare ones, which is why we recommend the Energizer 123 Lithium Battery. You’ll get a 6 pack of high performing lithium batteries, that have a shelf life of up to 10 years, so you have plenty of time to use them all. 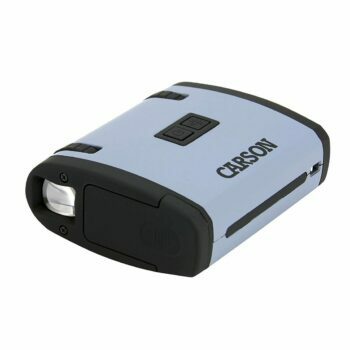 The Carson MiniAura Night Vision Monocular is a different type of monocular than the Night Owl one. That’s because it doesn’t use an image intensifier tube, that’s prone to burning out with repeated use. Instead, this one is completely digital, so the danger of burning out is adverted. What’s more, the images rendered on the digital screen aren’t green as in the case of other digital monoculars. In this case, they’re black and white, and the image quality is relatively crisp. We appreciate how easy it is to adjust its display intensity too, by using the built in button. The angular field of view is 19 degrees, as opposed to just 17° for the Night Owl. Plus, there’s an IR here too, which allows you to see perfectly well in complete darkness, up to 82 feet. But what we love most about this is that it can work in daylight as well as nighttime, and it’s so small and light you can carry it in your back pocket. The batteries used are 3 AAA, which are cheaper than the lithium batteries, but arguably less qualitative, so they might not last that long. 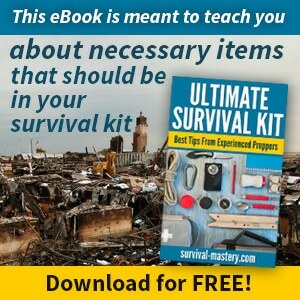 The carry pouch and wristband included are other pluses for portability. However, there’s no magnification with this monocular, so you won’t be able to adjust the zoom to see any details. Besides, the IR is only there to brighten the dark, it can’t be used at a further distance to serve as a surveillance tool. And it’s wavelength isn’t that great either, since an invisible IR is way better for not scaring away wildlife. 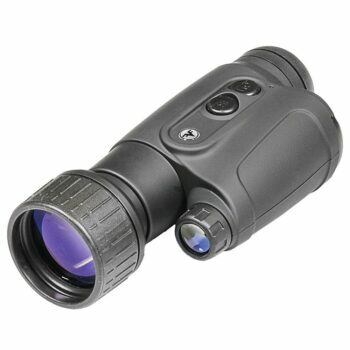 Related: We recommend the HDE Compact Monocular if you’re looking for something in the low price range for day vision. This one is amazing for bird watching because of its impressive magnification range between 15 – 55x. However, the 21 mm lens doesn’t make it that great for faint light, considering the light transmission is very low. The Lowmany Night Vision Binoculars is the least expensive product until now, and they’re binoculars, which is arguably better because you don’t have to squint. These binoculars have a powerful 60 x 60 zoom, so the range of view can be adjusted according to your needs, but the angle of view is just 8°. That makes it a versatile gadget, that can work for various outdoor activities. We love its construction that screams durability. The rubber armor is shock resistant, so the damages are minimal, but the construction allows the formation of water fog. The glass optics are qualitative, and they have a K9 Porro Prism construction, which works with this sort of magnification. Besides, these binoculars are multi coated so the rendered images are very bright. And since the lens are coated with Ruby, the UV glare is kept to a minimum. We also appreciate that these binoculars are waterproof too, and the optics are precision aligned for an increased viewing distance. However, these binoculars don’t have a built in IR. Their night vision function is LLL, so you won’t be able to use them when it’s completely dark. But they still work in faint light, at dusk, dawn or when there’s moonlight thanks to a big 50 mm lens diameter. Related: Other low light level binoculars that have a similar price are the Aurosports Folding Binoculars. 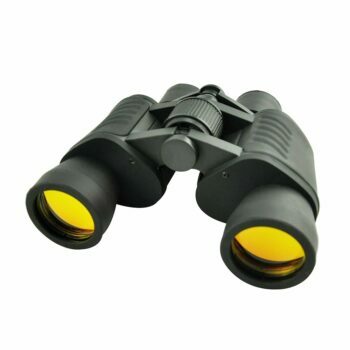 With a 30 x 60 magnification, this pair of binoculars can actually be folded so they can fit into the palm of your hand. They have a narrow angular field of view of just 7.2°, but they can be used at an increased distance, which makes them great for concerts. 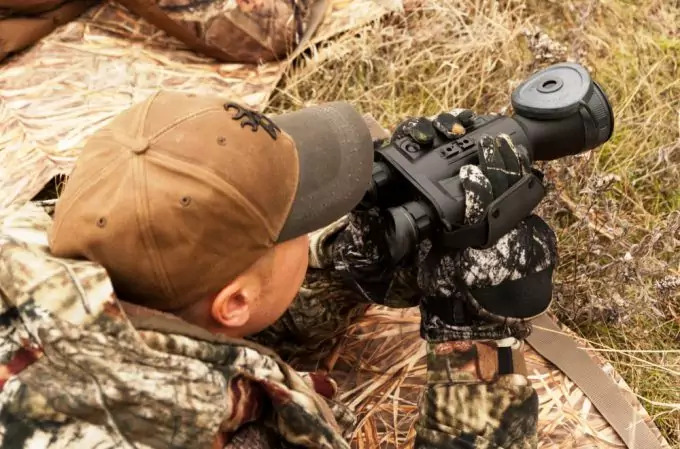 The Firefield Tracker Night Vision Google Binoculars is a much more expensive product than the ones we’ve reviewed until now, but it still falls into the category of affordable night vision. That’s not surprising at all, considering how much more expensive other top grade similar gadgets can be. And just consider this one’s fully multi coated, which guarantees bright, blur free images. This one has a 1x magnification, which means you won’t be able to see magnified details, but the objects as they are in reality. The silver lining is that you’ll get accurate depth perception, which rarely happens with goggle binoculars. So you can still see details fairly clear, and you’ll get a good environmental awareness. The 24mm lens diameter could be bigger but still, works for the 1x. We like the image resolution that’s qualitative even for a generation 1 binoculars. 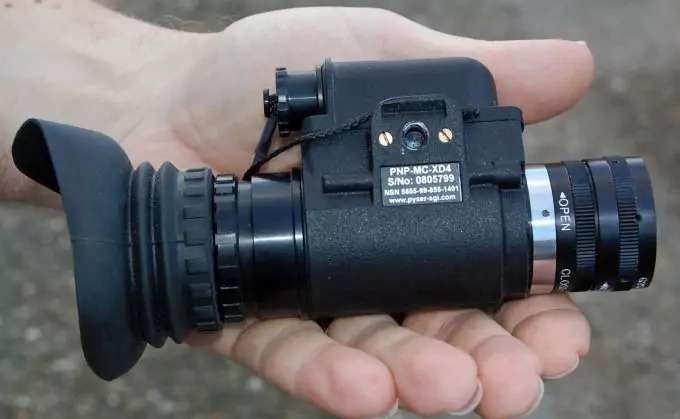 And as opposed to the other IR using optics we discussed above, this one has a high performing, invisible infrared emitter that allows you to see to about 150 yards. We also appreciate the ergonomic design, that can be handheld as well as head mountable, though it’s a bit heavy at more than 1 pounds. The pulsing IR is another plus in terms of longer battery life, and the Eclipse Lens Cover design is really user friendly. You can adjust the lens caps by simply rotating them, so you can even use these binoculars during daylight. Related: We recommend the Evolva Future Technology Flashlight Torch to accompany you on your night treks. With an invisible infrared light, this flashlight offers long distance viewing up to about 165 yards. 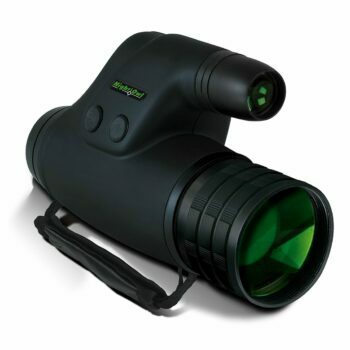 For a price that’s almost 10 times less, you’ll get a solid, durable product that can be used with various night vision goggles or binoculars for night hunting or wildlife observation. 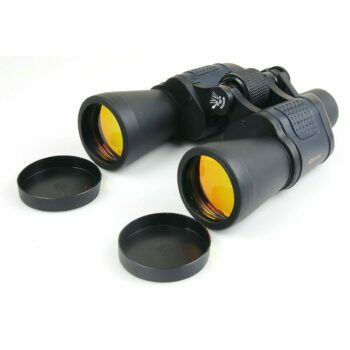 The Bial Wide Angle Binoculars are the perfect binoculars for boating or even bird watching. That’s because they have a 10x magnification, which allows you to see at a sufficient distance, and in enough details. 10x is considered a versatile magnification, more appropriate for beginners and for people who want to use their binoculars well even at a closer viewing range. Related to the 10x, the field of view falls in the medium range too, considering it’s 430 feet at 1000 yards. This is enough for boating when your scope can be somewhat narrow. The 40mm diameter lenses are great for light transmission, so you can get bright images even in the faint light. 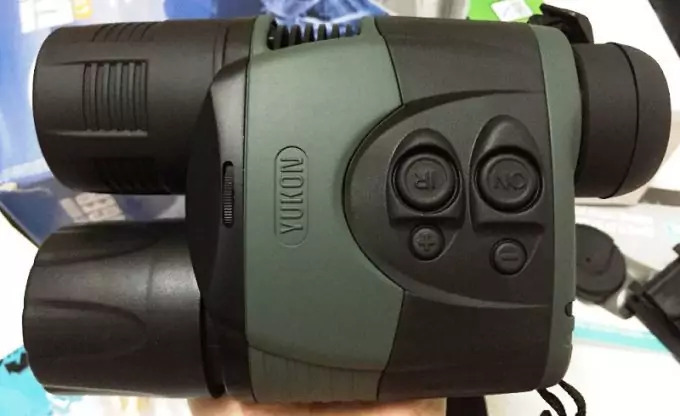 But remember that these binoculars don’t have an IR emitter, so they don’t work in complete darkness. We appreciate the diopter adjustment that allows fine focusing too. The rubber coated construction is another plus since you’ll get a sturdy item, that’s resistant to shocks and allows a non slip grip. However, these binoculars are a bit heavy and aren’t head mountable either. Related: At the other end of the price spectrum, you can add the FLIR Scout TK Thermal Monocular to your wishlist. That’s because this is a high performing monocular that uses thermal imaging. 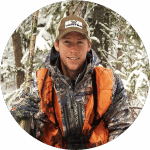 It starts in just a few seconds with the simple push of a button, and you can use it for personal security, as well as general wildlife observation. Plus, it can detect a man up to 100 yards in low light, recording images and videos. The Armasight Vega Night Vision Goggleis a smart looking goggle, that has a compact design and a low weight of just 8 ounces. That, along with its hands free construction, and included flip up headgear, makes it great for outdoor activities like airsoft. We like this goggle because of its high quality flood infrared light. You’ll get high resolution 30-40 lp/mm images, thanks to its quality image intensifier tube. Though this is a generation 1 product, it still does a good job. We appreciate the construction that’s friendly for either left eye dominant or right eye dominant people. The limited two year warranty shows focus on user experience too, and the help team is pretty helpful. The low battery indicator is another plus, but the battery life itself is only 12 hours with the IR on. The 1x magnification can be considered a downside because you’re only seeing the objects as big as they appear in reality. The 20.6mm diameter is also a bit small for enough light transmission, but we appreciate the wide 40° angular field of view, as well as the large range of focus of 0.2 to infinity. Related: We recommend the Panasonic CR123A 3V Batteries for this goggle. Since Panasonic is a trustworthy brand, and you need batteries that have a long shelf life and that come in a compact enough package for comfortable storing. Besides, this is a 10 pack, so you’ll have plenty leftover for when your battery runs out. 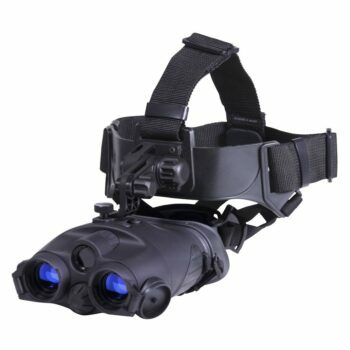 The Firefield Nightfall 2 Night Vision Monocular is a reliable monocular you can use for various activities, like brush hunting or general observation. That’s because it has a 5x, so you won’t be able to see extremely far, and the field of view is also a bit narrower than we would have liked for this magnification. The 50 mm diameter is amazing in terms of light transmission and bright rendered images, though, as far as 100 yards or so. The pulsating IR is high performance, but it also saves you battery life. Even if it’s a generation 1 device, we are impressed with the quality of its optics for such a small retail price. And although most generation 1 devices have a small spot, for this monocular, this spot is barely noticeable. The two focal lenses can be dialed in so you can make your image even crisper. The 2 AA batteries needed for this monocular to work are easy to find, plus the IR light can be turned on and off for saving power. But if you turn the IR off, your vision alone, without the monocular, may be better in dim light. We also like the rubber armor cover that renders this monocular weather resistant, durable and provides an ergonomic grip. 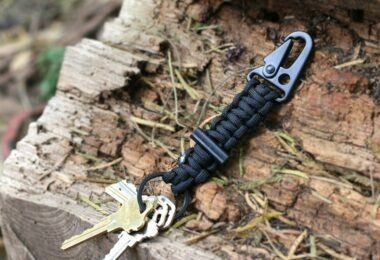 The secure grip is a definite plus, considering this is no lightweight gadget. And it’s not even head mountable, which is a pity. 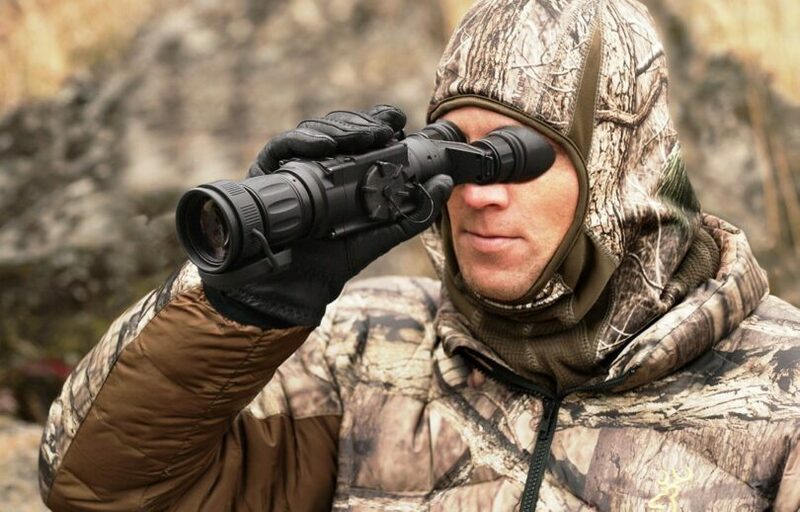 Related: We recommend the Wingspan Optics Explorer Monocular if you want a monocular that helps you out more in the faint light. This one can be used for both hunting and bird watching, considering it’s suited for long distance thanks to a 12x magnification. You even get a tripod stand to place it on in case your hands get tired. We’ve talked about a lot of different products here, monoculars, binoculars or goggles, each with LLL, IR or digital night vision. So the choice may seem tough. Consider if you’re willing to invest a little more in a pulsing IR like that of Firefield Nightfall 2, for better images, distance, and field of view. Or, you might just be ok with a low light level binoculars, like the Lowmany BF6060, which costs less than a pair of shoes, but still, has a qualitative build. And after you’ve made your choice, let us know what that is and why. The comment section is right below.